Rewards will be made based on a number of factors. According to the the Amazon webpage announcing the program, these include, “minutes of usage, new customers, recurring customers, customer ratings, and more.” That “and more” clause has made it difficult to understand what factors are truly driving payouts for Alexa skill game developers since May, but some information is trickling out. We’re about to see a flurry of recategorizing, which may have a real effect on the per-category rankings. The skill promotions and banners just became a lot more important, now that money is in play. So expect a lot more cutthroat jockying over that. Let me translate. When skills are submitted, you must choose the category you want it classified under. If you are not in the seven categories included in the payout scheme, you may want to resubmit to be eligible. In addition, some categories are more competitive for engagement than others. That means you might be better off selecting a less competitive category to maximize your payout as a developer. 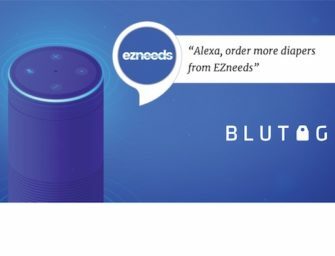 Finally, the banners are the Amazon promotions that the company does from time-to-time to promote various skills in the Alexa skill store. Independent developer Nick Schwab said in a Voicebot Podcast interview that these promotions can help grow user trial by more than eight times the normal daily average during the promotion. That would be a big boost for any skill developer looking to start ranking higher in the rewards program ranking. Amazon has a clear lead in the number of individual voice assistant devices in circulation, but Google and Microsoft can point to their large mobile and desktop user bases respectively as an argument for parity. However, neither can claim as robust a voice application development ecosystem as Amazon. The company has invested heavily in cultivating a developer community and it has paid off in a third-party voice application count that is over 30 times higher than Google. Amazon’s expansion of the Skill Rewards program has finally made Alexa Skill development a profitable endeavor. As a Skill developer since March, 2016 who has published over 25 Skills, the path to profitability has been a true test of patience and dedication. Now, that patience and dedication is paying off, and competing platforms like Google Assistant, Microsoft Cortana, and Apple HomePod will need to act quickly to incentivize developers to prevent losing them entirely to Amazon Alexa. A recent developer discussion revealed that the top game developer based on Amazon’s engagement criteria is receiving about $5,000 per month. TechCrunch reports that the payouts gradually fall to about $1,000 for the seventh ranked game and then cascade down to about $100 for the 300th. It is not clear whether the other Alexa skill categories will be on the same type of sliding scale or see the same payout levels. The fact is that reward programs are a great incentive. I have seen enthusiasm for game skills in the Alexa developer community increase since the original program announcement in May. Expanding the program should help fill out the categories with better skills that include more engaging user experiences. This will help blunt the criticism by some that many Alexa skills are poorly designed. All you need is a few very good skills in each category to ensure a good overall consumer experience on the platform. It’s an interesting approach, and anything that improves and encourages developers to get engaged and stay engaged in the ecosystem is welcome. It would be nice to see it paired with efforts that aid “organic” monetization, whether via advertising, charging for skills, etc. These longer term solutions are vital for the health of the platform and third-party developers. The real solution is to enable monetization options where consumer demand can ultimately determine which skills are most highly valued. That’s a cure that can still be address by all of the platforms and will be the real game changer for the industry.